Beloved Saints, I will call the attention of this congregation while I address you on the subject of the dead. The decease of our beloved brother, Elder King Follett, who was crushed in a well by the falling of a tub of rock, has more immediately led me to that subject. I have been requested to speak by his friends and relatives, but inasmuch as there are a great many in this congregation who live in this city as well as elsewhere, who have lost friends, I feel disposed to speak on the subject in general, and offer you my ideas, so far as I have ability, and so far as I shall be inspired by the Holy Spirit to dwell on this subject. 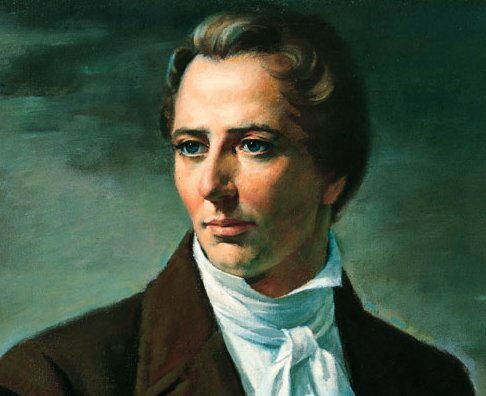 I want your prayers and faith that I may have the instruction of Almighty God and the gift of the Holy Ghost, so that I may set forth things that are true and which can be easily comprehended by you, and that the testimony may carry conviction to your hearts and minds of the truth of what I shall say. Pray that the Lord may strengthen my lungs, stay the winds, and let the prayers of the Saints to heaven appear, that they may enter into the ears of the Lord of Sabbaoth, for the effectual prayers of the righteous avail much. There is strength here, and I verily believe that your prayers will be heard. Before I enter fully into the investigation of the subject which is lying before me, I wish to pave the way and bring up the subject from the beginning, that you may understand it. I will make a few preliminaries, in order that you may understand the subject when I come to it. I do not intend to please your ears with superfluity of words or oratory, or with much learning; but I intend to edify you with the simple truths from heaven. In the first place, I wish to go back to the beginning—to the morn of creation. There is the starting point for us to look to, in order to understand and be fully acquainted with the mind, purposes and decrees of the Great Elohim, who sits in yonder heavens as he did at the creation of this world. It is necessary for us to have an understanding of God himself in the beginning. If we start right, it is easy to go right all the time; but if we start wrong, we may go wrong, and it be a hard matter to get right. If a man learns nothing more than to eat, drink and sleep, and does not comprehend any of the designs of God, the beast comprehends the same things. It eats, drinks, sleeps, and knows nothing more about God; yet it knows as much as we, unless we are able to comprehend by the inspiration of Almighty God. If men do not comprehend the character of God, they do not comprehend themselves. I want to go back to the beginning, and so lift your minds into a more lofty sphere and a more exalted understanding than what the human mind generally aspires to. I want to ask this congregation, every man, woman and child, to answer the question in their own heart, what kind of a being God is? Ask yourselves; turn your thought into your hearts, and say if any of you have seen, heard, or communed with him. This is a question that may occupy your attention for a long time. I again repeat the question—What kind of a being is God? Does any man or woman know? Have any of you seen him, heard him, or communed with him? Here is the question that will, peradventure, from this time henceforth occupy your attention. The Scriptures inform us that "This is life eternal that they might know thee, the only true God, and Jesus Christ whom thou hast sent." My first object is to find out the character of the only wise and true God, and what kind of a being he is; and if I am so fortunate as to be the man to comprehend God, and explain or convey the principles to your hearts, so that the Spirit seals them upon you, then let every man and woman henceforth sit in silence, put their hands on their mouths, and never lift their hands or voices, or say anything against the man of God or the servants of God again. But if I fail to do it, it becomes my duty to renounce all further pretensions to revelations and inspirations, or to be a prophet; and I should be like the rest of the world—a false teacher, be hailed as a friend, and no man would seek my life. But if all religious teachers were honest enough to renounce their pretensions to godliness when their ignorance of the knowledge of God is made manifest, they will all be as badly off as I am, at any rate; and you might as well take the lives of other false teachers as that of mine, if I am false. If any man is authorized to take away my life because he thinks and says I am a false teacher, then, upon the same principle, we should be justified in taking away the life of every false teacher, and where would be the end of blood? And who would not be the sufferer? But meddle not with any man for his religion: and all governments ought to permit every man to enjoy his religion unmolested. No man is authorized to take away life in consequence of difference of religion, which all laws and governments ought to tolerate and protect, right or wrong. Every man has a natural, and, in our country, a constitutional right to be a false prophet, as well as a true prophet. If I show, verily, that I have the truth of God, and show that ninety-nine out of every hundred professing religious ministers are false teachers, having no authority, while they pretend to hold the keys of God's kingdom on earth, and was to kill them because they are false teachers, it would deluge the whole world with blood. I will prove that the world is wrong, by showing what God is. I am going to enquire after God; for I want you all to know him, and to be familiar with him; and if I am bringing you to a knowledge of him, all persecutions against me ought to cease. You will then know that I am his servant; for I speak as one having authority. I will go back to the beginning before the world was, to show what kind of being God is. What sort of a being was God in the beginning? Open your ears and hear, all ye ends of the earth, for I am going to prove it to you by the Bible, and to tell you the designs of God in relation to the human race, and why He interferes with the affairs of man. I wish I was in a suitable place to tell it, and that I had the trump of an archangel, so that I could tell the story in such a manner that persecution would cease for ever. What did Jesus say? (Mark it, Elder Rigdon!) The Scriptures inform us that Jesus said, As the Father hath power in Himself, even so hath the Son power—to do what? Why, what the Father did. The answer is obvious—in a manner to lay down His body and take it up again. Jesus, what are you going to do? To lay down my life as my Father did, and take it up again. Do we believe it? If you do not believe it, you do not believe the Bible. The Scriptures say it, and I defy all the learning and wisdom and all the combined powers of earth and hell together to refute it. Here, then, is eternal life—to know the only wise and true God; and you have got to learn how to be Gods yourselves, and to be kings and priests to God, the same as all Gods have done before you, namely, by going from one small degree to another, and from a small capacity to a great one; from grace to grace, from exaltation to exaltation, until you attain to the resurrection of the dead, and are able to dwell in everlasting burnings, and to sit in glory, as do those who sit enthroned in everlasting power. And I want you to know that God, in the last days, while certain individuals are proclaiming his name, is not trifling with you or me. These are the first principles of consolation. How consoling to the mourners when they are called to part with a husband, wife, father, mother, child, or dear relative, to know that, although the earthly tabernacle is laid down and dissolved, they shall rise again to dwell in everlasting burnings in immortal glory, not to sorrow, suffer, or die any more; but they shall be heirs of God and joint heirs with Jesus Christ. What is it? To inherit the same power, the same glory and the same exaltation, until you arrive at the station of a God, and ascend the throne of eternal power, the same as those who have gone before. What did Jesus do? Why; I do the things I saw my Father do when worlds came rolling into existence. My Father worked out his kingdom with fear and trembling, and I must do the same; and when I get my kingdom, I shall present it to my Father, so that he may obtain kingdom upon kingdom, and it will exalt him in glory. He will then take a higher exaltation, and I will take his place, and thereby become exalted myself. So that Jesus treads in the tracks of his Father, and inherits what God did before; and God is thus glorified and exalted in the salvation and exaltation of all his children. It is plain beyond disputation, and you thus learn some of the first principles of the Gospel, about which so much hath been said. When you climb up a ladder, you must begin at the bottom, and ascend step by step, until you arrive at the top; and so it is with the principles of the Gospel—you must begin with the first, and go on until you learn all the principles of exaltation. But it will be a great while after you have passed through the veil before you will have learned them. It is not all to be comprehended in this world; it will be a great work to learn our salvation and exaltation even beyond the grave. I suppose I am not allowed to go into an investigation of anything that is not contained in the Bible. If I do, I think there are so many over-wise men here, that they would cry "treason" and put me to death. So I will go to the old Bible and turn commentator today. I shall comment on the very first Hebrew word in the Bible; I will make a comment on the very first sentence of the history of the creation in the Bible—Berosheit. I want to analyze the word. Baith—in, by, through, and everything else. Rosh—the head. Sheit—grammatical termination. When the inspired man wrote it, he did not put the baith there. An old Jew without any authority added the word; he thought it too bad to begin to talk about the head! It read first, "The head one of the Gods brought forth the Gods." That is the true meaning of the words. Baurau signifies to bring forth. If you do not believe it, you do not believe the learned man of God. Learned men can teach you no more than what I have told you. Thus the head God brought forth the Gods in the grand council. I will transpose and simplify it in the English language. Oh, ye lawyers, ye doctors, and ye priests, who have persecuted me, I want to let you know that the Holy Ghost knows something as well as you do. The head God called together the Gods and sat in grand council to bring forth the world. The grand councilors sat at the head in yonder heavens and contemplated the creation of the worlds which were created at the time. When I say doctors and lawyers, I mean the doctors and lawyers of the Scriptures. I have done so hitherto without explanation, to let the lawyers flutter and everybody laugh at them. Some learned doctors might take a notion to say the Scriptures say thus and so; and we might believe the Scriptures; they are not to be altered. But I am going to show you an error in them. The doctors (I mean doctors of law, not physic) say, "If you preach anything not according to the Bible, we will cry treason." How can we escape the damnation of hell, except God be with us and reveal to us? Men bind us with chains. The Latin says Jacobus, which means Jacob; the Hebrew says Jacob, the Greek says Jacob and the German says Jacob; here we have the testimony of four against one. I thank God that I have got this old book; but I thank him more for the gift of the Holy Ghost. I have got the oldest book in the world; but I [also] have the oldest book in my heart, even the gift of the Holy Ghost. I have all the four Testaments. Come here, ye learned men, and read, if you can. I should not have introduced this testimony, were it not to back up the word rosh—the head, the Father of the Gods. I should not have brought it up, only to show that I am right. In the beginning, the head of the Gods called a council of the Gods; and they came together and concocted a plan to create the world and people it. When we begin to learn this way, we begin to learn the only true God, and what kind of a being we have got to worship. Having a knowledge of God, we begin to know how to approach him, and how to ask so as to receive an answer. When we understand the character of God, and know how to come to him, he begins to unfold the heavens to us, and to tell us all about it. When we are ready to come to him, he is ready to come to us. Now, I ask all who hear me, why the learned men who are preaching salvation, say that God created the heavens and the earth out of nothing? The reason is, that they are unlearned in the things of God, and have not the gift of the Holy Ghost; they account it blasphemy in any one to contradict their idea. If you tell them that God made the world out of something, they will call you a fool. But I am learned, and know more than all the world put together. The Holy Ghost does, anyhow, and He is within me, and comprehends more than all the world: and I will associate myself with Him. You ask the learned doctors why they say the world was made out of nothing; and they will answer, "Doesn't the Bible say He created the world?" And they infer, from the word create, that it must have been made out of nothing. Now, the word create came from the word baurau which does not mean to create out of nothing; it means to organize; the same as a man would organize materials and build a ship. Hence, we infer that God had materials to organize the world out of chaos—chaotic matter, which is element, and in which dwells all the glory. Element had an existence from the time he had. The pure principles of element are principles which can never be destroyed; they may be organized and re-organized, but not destroyed. They had no beginning, and can have no end. I have another subject to dwell upon, which is calculated to exalt man; but it is impossible for me to say much on this subject. I shall therefore just touch upon it, for time will not permit me to say all. It is associated with the subject of the resurrection of the dead,—namely, the soul—the mind of man—the immortal spirit. Where did it come from? All learned men and doctors of divinity say that God created it in the beginning; but it is not so: the very idea lessens man in my estimation. I do not believe the doctrine; I know better. Hear it, all ye ends of the world; for God has told me so; and if you don't believe me, it will not make the truth without effect. I will make a man appear a fool before I get through; if he does not believe it. I am going to tell of things more noble. We say that God himself is a self-existent being. Who told you so? It is correct enough; but how did it get into your heads? Who told you that man did not exist in like manner upon the same principles? Man does exist upon the same principles. God made a tabernacle and put a spirit into it, and it became a living soul. (Refers to the old Bible.) How does it read in the Hebrew? It does not say in the Hebrew that God created the spirit of man. It says "God made man out of the earth and put into him Adam's spirit, and so became a living body." I am dwelling on the immortality of the spirit of man. Is it logical to say that the intelligence of spirits is immortal, and yet that it had a beginning? The intelligence of spirits had no beginning, neither will it have an end. That is good logic. That which has a beginning may have an end. There never was a time when there were not spirits; for they are co-equal [co-eternal] with our Father in heaven. I want to reason more on the spirit of man; for I am dwelling on the body and spirit of man—on the subject of the dead. I take my ring from my finger and liken it unto the mind of man—the immortal part, because it has no beginning. Suppose you cut it in two; then it has a beginning and an end; but join it again, and it continues one eternal round. So with the spirit of man. As the Lord liveth, if it had a beginning, it will have an end. All the fools and learned and wise men from the beginning of creation, who say that the spirit of man had a beginning, prove that it must have an end; and if that doctrine is true, then the doctrine of annihilation would be true. But if I am right, I might with boldness proclaim from the house-tops that God never had the power to create the spirit of man at all. God himself could not create himself. This is good doctrine. It tastes good. I can taste the principles of eternal life, and so can you. They are given to me by the revelations of Jesus Christ; and I know that when I tell you these words of eternal life as they are given to me, you taste them, and I know that you believe them. You say honey is sweet, and so do I. I can also taste the spirit of eternal life. I know it is good; and when I tell you of these things which were given me by inspiration of the Holy Spirit, you are bound to receive them as sweet, and rejoice more and more. I want to talk more of the relation of man to God. I will open your eyes in relation to your dead. All things whatsoever God in his infinite wisdom has seen fit and proper to reveal to us, while we are dwelling in mortality, in regard to our mortal bodies, are revealed to us in the abstract, and independent of affinity of this mortal tabernacle, but are revealed to our spirits precisely as though we had no bodies at all; and those revelations which will save our spirits will save our bodies. God reveals them to us in view of no eternal dissolution of the body, or tabernacle. Hence the responsibility, the awful responsibility, that rests upon us in relation to our dead; for all the spirits who have not obeyed the Gospel in the flesh must either obey it in the spirit or be damned. Solemn thought!—dreadful thought! Is there nothing to be done?—no preparation—no salvation for our fathers and friends who have died without having had the opportunity to obey the decrees of the Son of Man? Would to God that I had forty days and nights in which to tell you all! I would let you know that I am not a "fallen prophet." What promises are made in relation to the subject of the salvation of the dead? and what kind of characters are those who can be saved, although their bodies are mouldering and decaying in the grave? When his commandments teach us, it is in view of eternity; for we are looked upon by God as though we were in eternity. God dwells in eternity, and does not view things as we do. The greatest responsibility in this world that God has laid upon us is to seek after our dead. The Apostle says, "They without us cannot be made perfect;" (Hebrews 11:40) for it is necessary that the sealing power should be in our hands to seal our children and our dead for the fulness of the dispensation of times—a dispensation to meet the promises made by Jesus Christ before the foundation of the world for the salvation of man. I have a declaration to make as to the provisions which God hath made to suit the conditions of man—made from before the foundation of the world. What has Jesus said? All sin, and all blasphemies, and every transgression, except one, that man can be guilty of, may be forgiven; and there is a salvation for all men, either in this world or the world to come, who have not committed the unpardonable sin, there being a provision either in this world or the world of spirits. Hence God hath made a provision that every spirit in the eternal world can be ferreted out and saved unless he has committed that unpardonable sin which cannot be remitted to him either in this world or the world of spirits. God has wrought out a salvation for all men, unless they have committed a certain sin; and every man who has a friend in the eternal world can save him, unless he has committed the unpardonable sin. And so you can see how far you can be a savior. A man is his own tormenter and his own condemner. Hence the saying, They shall go into the lake that burns with fire and brimstone. The torment of disappointment in the mind of man is as exquisite as a lake burning with fire and brimstone. I say, so is the torment of man. I advise all of you to be careful what you do, or you may by-and-by find out that you have been deceived. Stay yourselves; do not give way; don't make any hasty moves, you may be saved. If a spirit of bitterness is in you, don't be in haste. You may say, that man is a sinner. Well, if he repents, he shall be forgiven. Be cautious: await. When you find a spirit that wants bloodshed—murder, the same is not of God, but is of the devil. Out of the abundance of the heart of man the mouth speaketh. I could go back and trace every subject of interest concerning the relationship of man to God, if I had time. I can enter into the mysteries; I can enter largely into the eternal worlds; for Jesus said, "In my Father's house are many mansions; if it were not so, I would have told you. I go to prepare a place for you" (John 14:2). Paul says, "There is one glory of the sun, and another glory of the moon, and another glory of the stars; for one star differeth from another star in glory. So also is the resurrection of the dead" (1 Cor. 15:41). What have we to console us in relation to the dead? We have reason to have the greatest hope and consolations for our dead of any people on the earth; for we have seen them walk worthily in our midst, and seen them sink asleep in the arms of Jesus; and those who have died in the faith are now in the celestial kingdom of God. And hence is the glory of the sun. Alexander Campbell, how are you going to save people with water alone? For John said his baptism was good for nothing without the baptism of Jesus Christ. "Therefore, not leaving the principles of the doctrine of Christ, let us go on unto perfection; not laying again the foundation of repentance from dead works, and of faith toward God, of the doctrine of baptisms, and of laying on of hands, and of resurrection of the dead, and of eternal judgment. And this will we do, if God permit." (Heb. 6:1-3). There is one God, one Father, one Jesus, one hope of our calling, one baptism. * * * Many talk of baptism not being essential to salvation; but this kind of teaching would lay the foundation of their damnation. I have the truth, and am at the defiance of the world to contradict me, if they can. Hear it, all ye ends of the earth—all ye priests, all ye sinners, and all men. Repent! repent! Obey the Gospel. Turn to God; for your religion won't save you, and you will be damned. I do not say how long. There have been remarks made concerning all men being redeemed from hell; but I say that those who sin against the Holy Ghost cannot be forgiven in this world or in the world to come; they shall die the second death. Those who commit the unpardonable sin are doomed to Gnolom—to dwell in hell, worlds without end. As they concoct scenes of bloodshed in this world, so they shall rise to that resurrection which is as the lake of fire and brimstone. Some shall rise to the everlasting burnings of God; for God dwells in everlasting burnings, and some shall rise to the damnation of their own filthiness, which is as exquisite a torment as the lake of fire and brimstone. I rejoice in hearing the testimony of my aged friends. You don't know me; you never knew my heart. No man knows my history. I cannot tell it: I shall never undertake it. I don't blame any one for not believing my history. If I had not experienced what I have, I could not have believed it myself. I never did harm any man since I was born in the world. My voice is always for peace. I cannot lie down until all my work is finished. I never think any evil, nor do anything to the harm of my fellow-man. When I am called by the trump of the archangel and weighed in the balance, you will all know me then. I add no more. God bless you all. Amen. (April 7, 1844.) T&S Aug. 15, 1844.